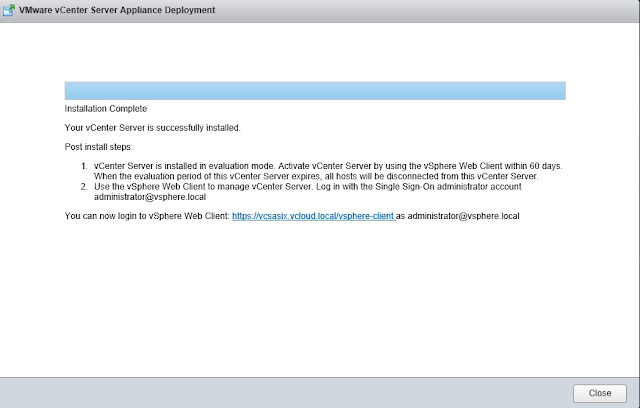 vCenter appliance as you know is a SUSE Linux alternative to Windows based vCenter. 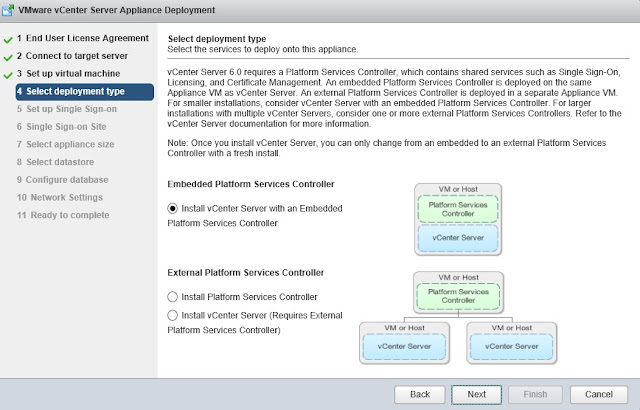 This article talks about Embedded PSC deployment of a new 6.0 appliance. 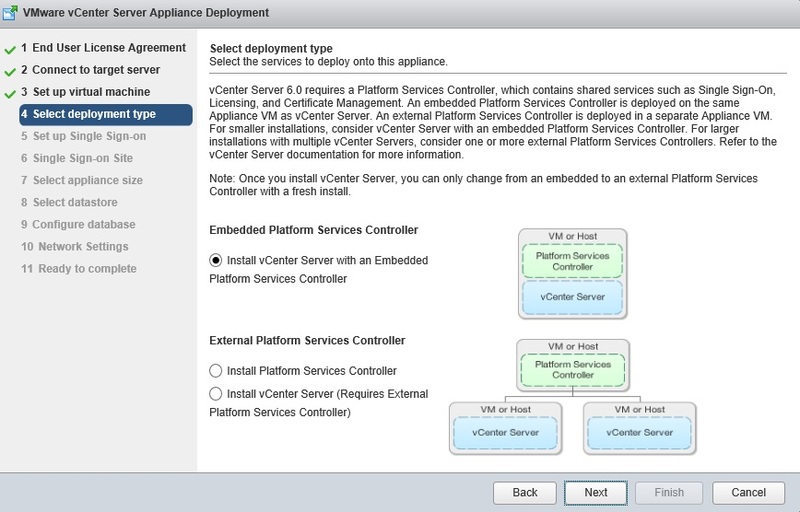 The embedded PSC has both the PSC node and the management vCenter node on the same machine. 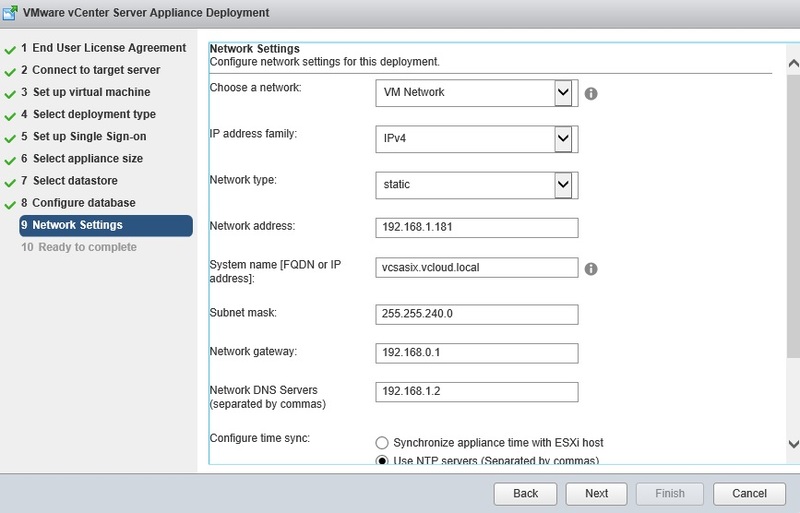 The forward lookup and reverse lookup for the appliance name should be added in your DNS manager. 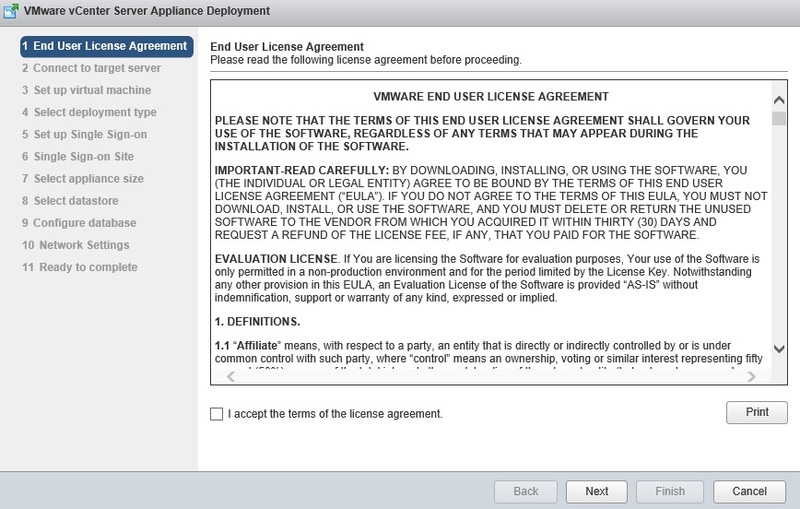 If this is not done, the installation fails in mid progress. 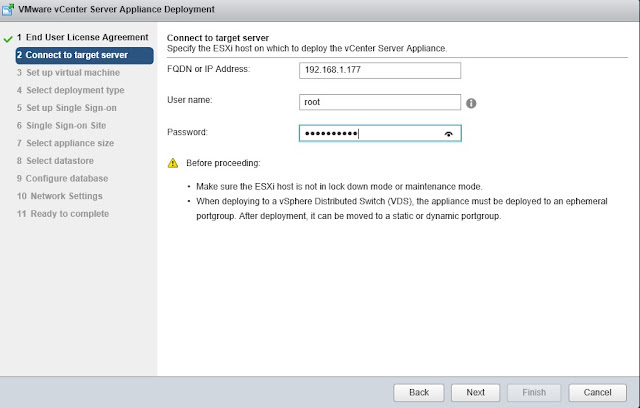 So, plan out a name for your appliance and an IP address for the same. Go to your DNS manager and enter this name and the IP address for your forward lookup zone and the network ID for the reverse lookup zone. 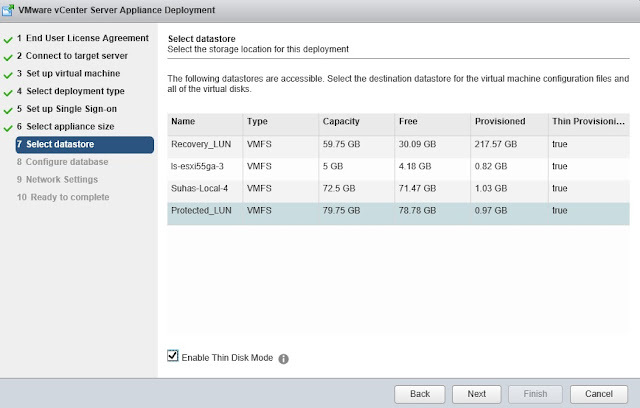 Make sure that there is sufficient space on the datastore. Mount the ISO on the Windows virtual machine. 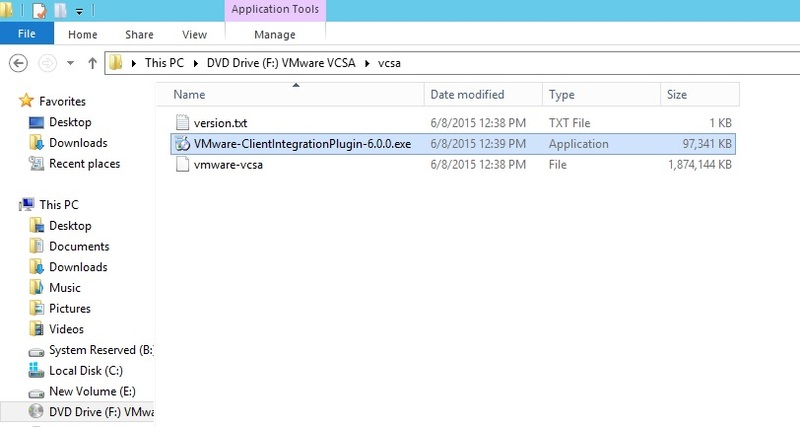 Inside this you will have the Client Integration Plugin setup .exe file. Run this file. 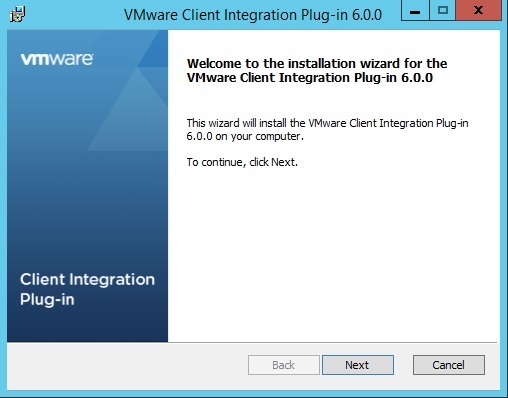 You will come across the installation wizard of the Plugin. 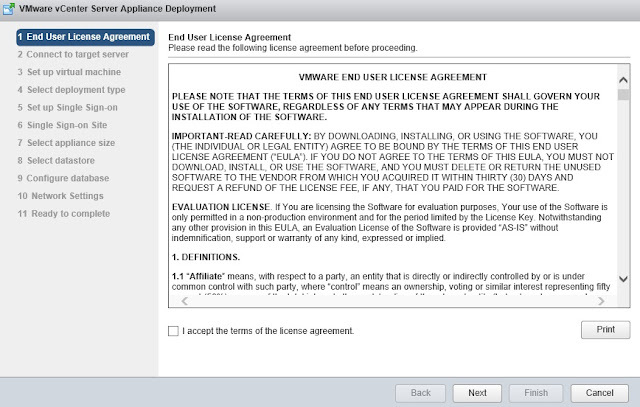 This is a simple installation; accept the EULA and proceed to install. Once the plugin installation is done, go back to the root directory of the vcsa disk drive and you will find vcsa-setup.html file. Open this file to continue further with installation. 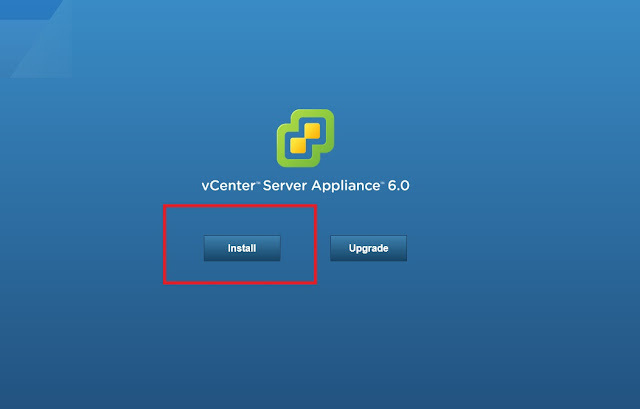 You will now come across the install/upgrade web page. 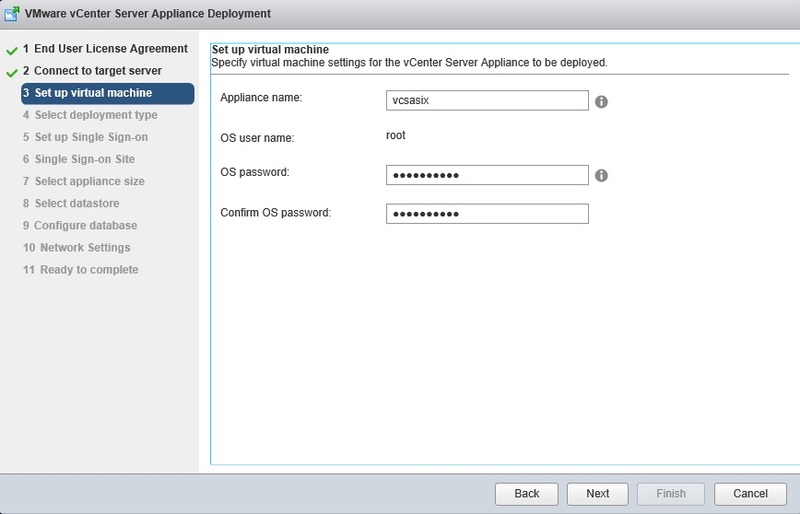 Click Install to begin the setup and deployment of the 6.0 appliance. 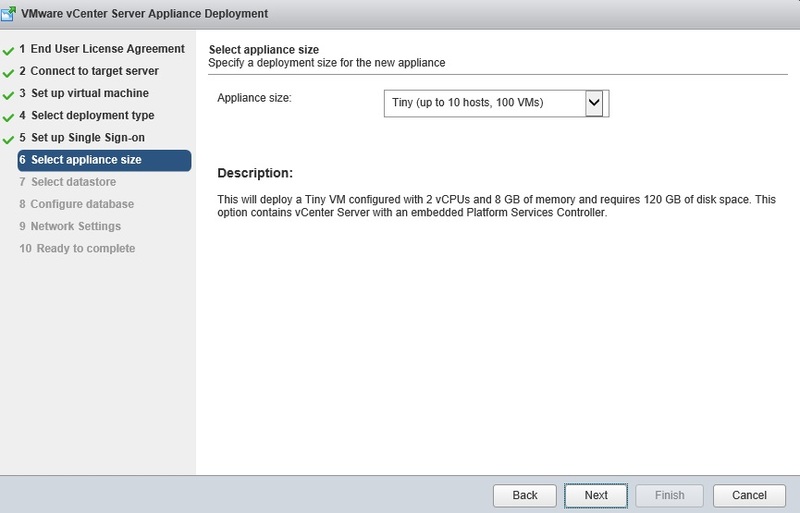 Here, we need to provide the details of the ESXi host on which you want to deploy your new appliance. If it asks for a Security Thumbprint, click Yes to proceed. Here you will provide your appliance details. For appliance name: Enter any name for this appliance. However, make sure that this name is added to the Forward Lookup Zone in your DNS manager. Provide a password for the " root " user of the appliance. 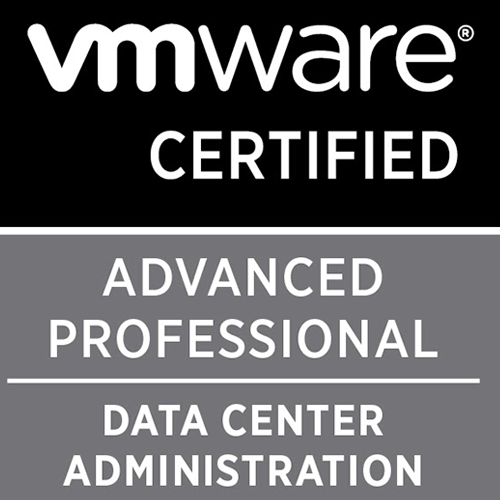 *Note* Document this password as this would be required for upgrading the appliance in future. Since here we are doing an Embedded PSC install. Choose the first (default) option. Password: Enter a new password for the SSO user. This user is used to manage your Identity sources, users and groups configuration for your vCenter appliance. Please document this password as well, as it is necessary. *Note* If you have an existing domain in your active directory, say, xyz.com, DO NOT use this domain as your SSO domain. This will prevent you from adding users under to xyz.com domain to the vCenter for management. The SSO Site Name: This can be any user defined site name. 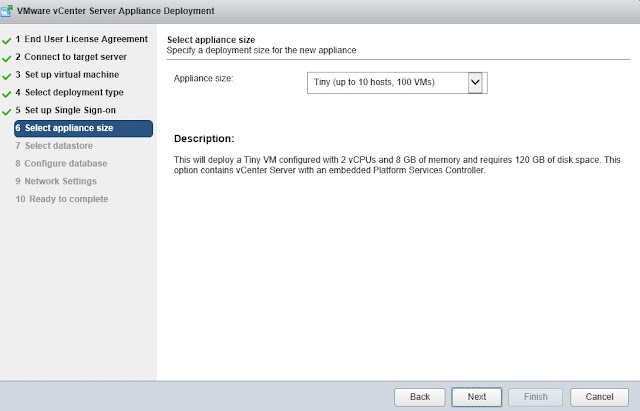 Choose the appliance size depending on the number of hosts and VMs you have in your inventory. Select a datastore where the appliance files must reside. 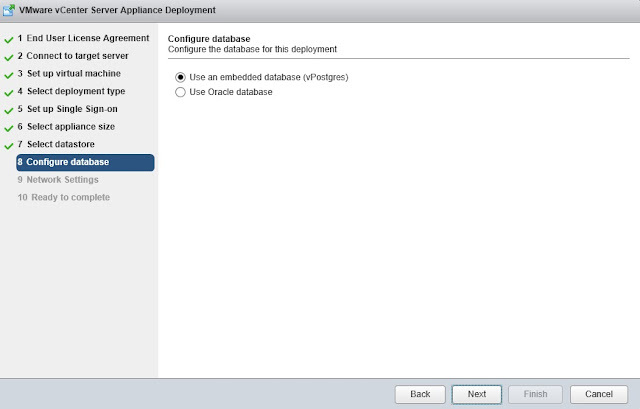 If you have an external Oracle DB, this can also be specified. Subnet mask, gateway and DNS server details. 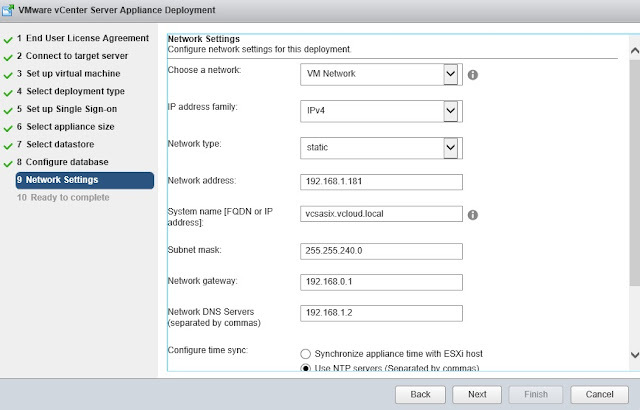 If you have a separate server for your NTP, then check "Use NTP Servers" and paste the IP in the below box. Click Next, review the settings and Finish to begin the installation/deployment. 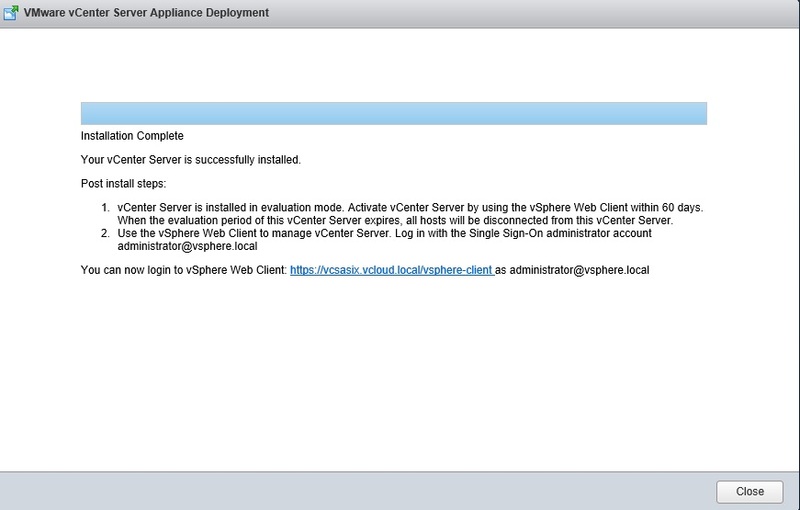 Once the installation is complete, you will see the following screen with a link to Web Client. 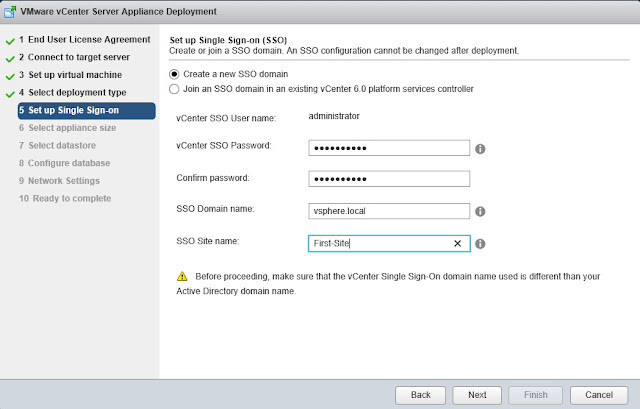 Click the link and login with SSO credentials to verify everything is working good.